It’s a new day for IFCM. In the General Assembly in Seoul the rewrite of the Statues and By Laws were approved. This provided new and more expansive regulatory responsibilities to the Executive Committee, reduced the size of the Board of Directors, eliminated the Board Advisors, and created a more robust operational strategy for the future of international choral music. 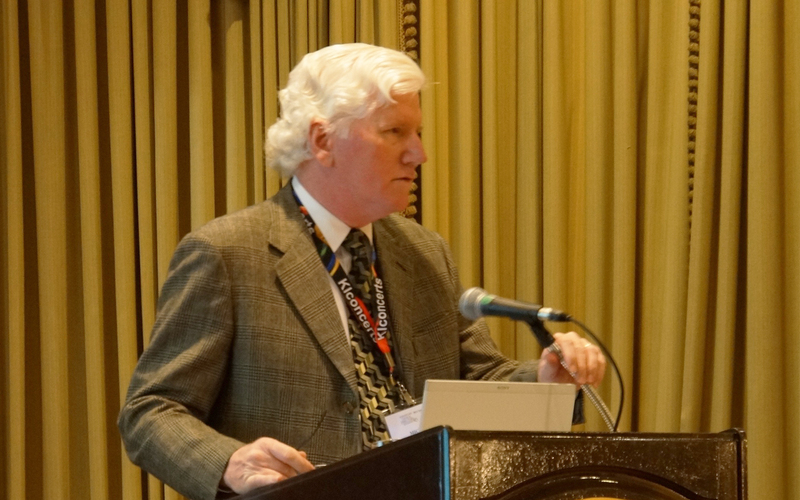 We have established a sustainable financial structure, which will take the economic burden off a smaller, more robust Board of Directors, make being a member of IFCM easier and less expensive, and allow IFCM to offer more projects, to more people, more often. This action better represents the requests of the membership from as long ago as 2005. We are on the move. I am writing this at the end our fall semester, which we commonly refer to as “performance season.” Concerts, juries, recitals, recordings, small ensemble work, theatre productions (we are the School of Theatre and Music), etc. The faculty are bringing to fruition 15 weeks of hard work with budding talents, trying to give focus to the newness of professional musicianship, yet calm the pressures caused by university study. 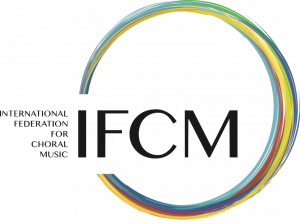 In many ways I compare what I do in my career, with IFCM’s “reawakening:” taking youthful artistry, reworking current “curriculum” to meet more contemporary demands, and opening up a new world of creativity, engagement, and inclusion—for everyone. This is exactly what IFCM is experiencing! Next year, from May to October 2015, is the World Exposition in Milan. Choirs from all of the approximately 150 participating countries have been invited to present music from their own countries both at the Expo and in the community in what we are describing as the IFCM World’s Largest Choral Festival. We are providing opportunities to ensembles (and countries) that have never been part of the international choral community. This is huge! In November 2015, we are presenting the first IFCM Asia Pacific World Choral Expo, another new and innovative project that will focus on bringing new opportunities to choral musicians not previously involved with IFCM. This will happen in Macau, China and the surrounding communities of Shenzhen and Hong Kong. The Expo is expected to bring approximately 15,000 musicians to the area and will present a wide variety of educational musical experiences all in one conference. So many people have asked “how can I get more involved in IFCM.” Well, we have built the IFCM Volunteers Database to which you can add your contact information so that we can get you involved in IFCM’s projects. We ask that you describe your expertise, how much time you would like to volunteer, and if you are an international traveler or not. We are always looking to provide more opportunity to more people, plus we need your help. Get involved! And of course, the Eleventh IFCM World Choral Symposium is set to go in Barcelona, Catalonia in July 2017. Mark your calendar. I always hear complaints that IFCM doesn’t do enough projects, is focused on only a few of the same people, and “does not pay attention to the things that they think are important.” Well, this is no longer true. We are listening, we are building additional and innovative projects in regions of the world where we have not had much activity, to offer more opportunity, to more musicians, more often. Our eyes are set on the future. We are . . . Volunteers Connecting our Choral World!